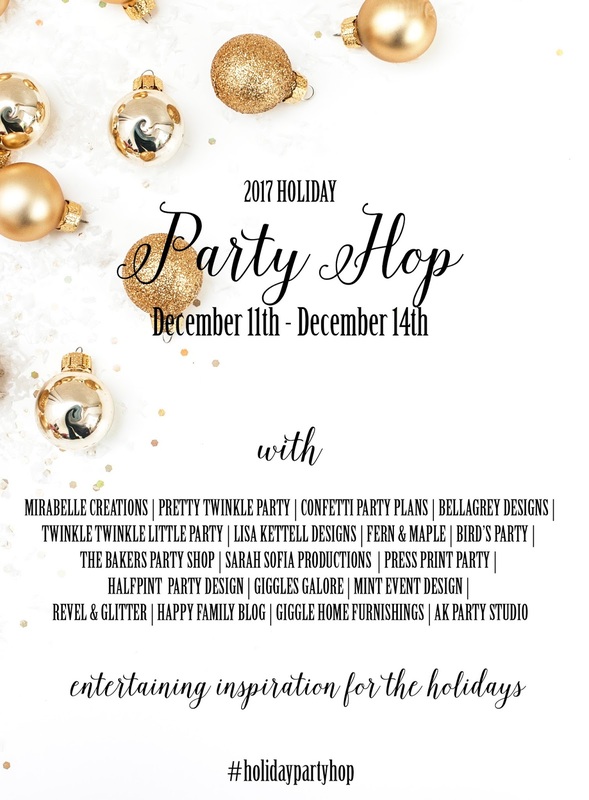 I've joined several other fabulous bloggers for a fun holiday party blog hop. If you're joining me from Giggle Home, welcome! 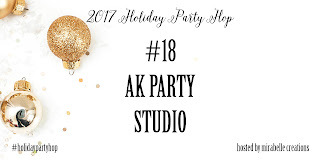 There have been so many wonderful holiday ideas, crafts, recipes, décor, you name it this group has got it covered. 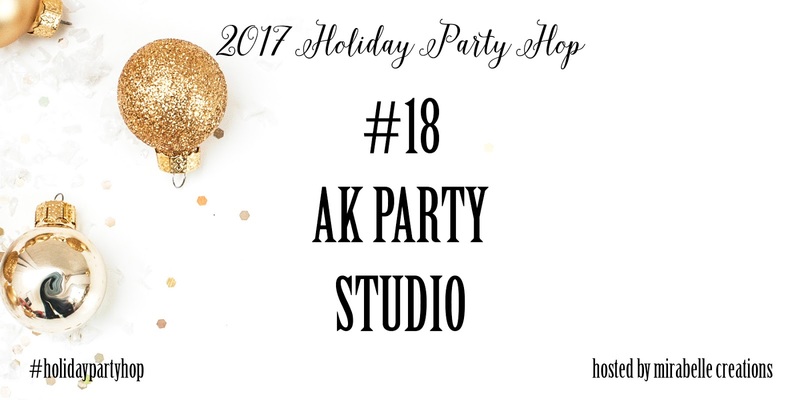 Today I'm sharing our holiday home decorations as well as our Christmas tablescape for a fun progressive dinner we are hosting tomorrow night. 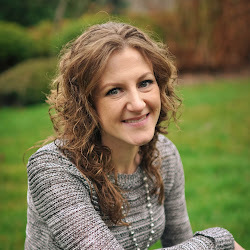 If you haven't heard of a progressive dinner party before, they are lots of fun! You break up the meal into different courses; appetizers, salad, dinner, dessert, whatever you want and you have each course served at a different house. It's a great way for friends to get together, share in the fun of the holiday season and see each other's homes decorated for the season. Christmas is my favorite time of year, I love entertaining family and friends throughout the holiday season. Although we were tasked with hosting the dessert portion of our progressive dinner party, which is usually more casual, I still wanted to make a beautiful tablescape. I went with a simple design, mixing classic colors of Christmas with a modern twist. The greenery, shades of red and purples mixed with the rustic elements had a traditional feel. Adding the rose gold table runner against the black and white tablecloth brought an unexpected look, and I just love it! The theme of this table all started around these gorgeous glasses from Hearth and Hand, Magnolia. Aren't they beautiful? I loved the design so much, I just had to implement into my holiday some how! Each place setting got a traditional cracker as a fun way to end the evening. Holiday crackers are my favorite way to end any Christmas meal. 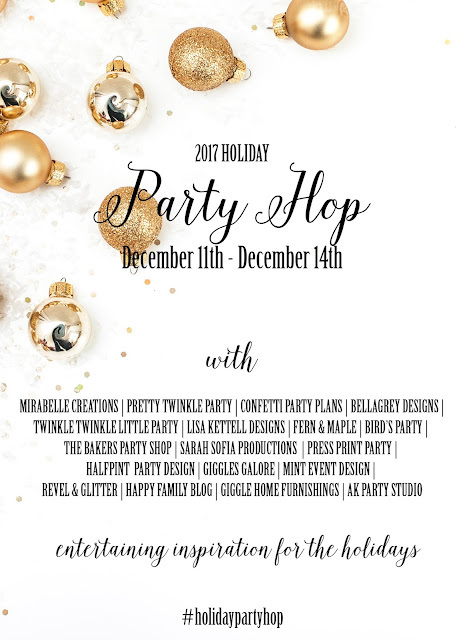 Thank you for joining us on this Holiday Party Blog Hop, to catch us from the beginning head to Mirabelle Creations. She has all the details on making your own custom color iridescent ornaments. They are so pretty, you'll want these for your tree! So beautiful Toni!! I love the stripes mixed with the traditional Christmas colors!! A gorgeous setup and not just on the table!!! I love your beautiful tables-cape and the colors you chose. I spy some vintage decor around your home too love it. Thanks for sharing your home decor!! All looks so beautiful and cozy!! This is such a beautiful tablescape, Toni! Such a beautiful tablescape. Love it!